Are you shopping for a Genesis dealer in Chamblee, GA? Ed Voyles Genesis has a beautiful selection of new Genesis luxury cars for sale or lease. Explore our new Genesis inventory online. 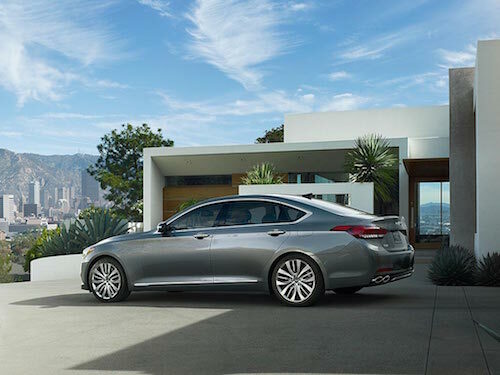 We invite you to compare Genesis MSRP, specifications, trim options, view photos and find special offers or incentives on new Genesis G80 and G90 models. We offer a variety of financing and leasing options at our Genesis dealership near Chamblee. Genesis dealer specials, manufacturer incentives and seasonal offers are available at Ed Voyles Genesis. We also offer financing for pre-owned Genesis models as well as a selection of Used Cars and Used SUVs. Our state-of-the-art Genesis Service Center is also available for auto service, routine maintenance and genuine Genesis parts and accessories. Auto service coupons and special discounts are frequently available for extra savings on quality car care. Visit our Genesis dealers near Chamblee, GA we are committed to taking excellent care of you and your vehicle.